1. What does your character look like? What is their build, short or tall, slender, average or large? How do they move? Picture a man who skips leg day at the gym, for example, and moves from his shoulders, walking with a swiveling stride. It’s likely you won’t need to include every element of description you plan when creating a character profile in your actual draft. In fact, it’s unwise to list every single physical attribute when describing a character. Detail is best when it’s relevant. If it’s related to actions, for example. You could describe a character’s hair in the course of her tying it up under a cap so she can perform surgery. 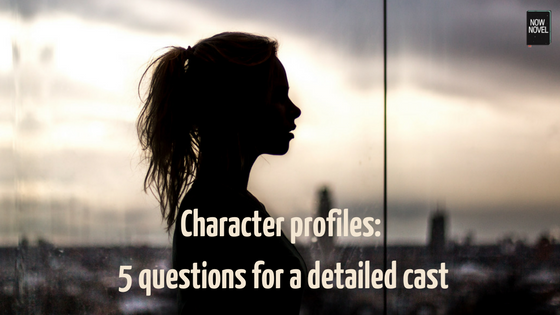 Even though you won’t use every detail, asking multiple questions about characters’ appearances will help you individualize your novel’s cast. 2. What is your character’s personality like (and how has backstory shaped this)? Memorable, intriguing characters have distinct personalities. In Gabriel Garcia Marquez’s Love in the Time of Cholera (1985), for example, the love-struck Florentino Ariza is intense and romantic. He waits almost a whole lifetime for a second chance to woo Fermina Daza, the immense, unrequited love of his youth. Knowing this backstory, we could ask, how does this shape Florentino Ariza as time passes? We see the character’s personality evolve, from the recklessness and intensity of his obsessing over Fermina Daza and writing her letters in his youth, to his cautiousness in many areas of life as he grows older. The cautiousness is a fitting detail of this character’s personality. Fear of harm is, as Marquez writes, is there already in Florentino’s youth. This fear grows though, in the wake of personal disappointment. What were this character’s most crucial formative experiences? How might the character change and evolve as a result of this experience? These are just some questions to ask about your characters’ personalities. The point is to be curious. Interview your characters as you would interview a fascinating artist or musician. Ask your characters what inspires them, how they got to where they are now, in the time of your story. 3. What is your character’s biggest goal? Characters’ desires and goals drive plot. Whether your character’s goal is reaching the pinnacle of Everest, cracking a murder case or finding the love of their life, one goal should lie above all others. Having an idea of your characters’ goals and motivations makes it easier to write ensemble scenes, because when characters’ goals converge, alliances form. Alternatively, when goals oppose each other, conflict arises. What is the one thing they want to achieve more than any other? Why? 4. What are your character’s greatest fears and flaws? Even the protagonist of a rewarding, complex novel has flaws. How a character’s flaws and fears interact with their goals and desires is compelling. Consider, for example, Florentino Ariza in Love in the Time of Cholera. Because his greatest goal is to win back the affections of his now-older unrequited love, (after her husband passes away near the start of the story), this goal is also a source of fear. Marquez repeatedly describes Florentino’s fear of aging. As he gets older, time is not on his side for rekindling his lost romance. This is why it feels fitting that Florentino frets about small reminders of his vanishing youth, such as the inevitable increasing difficulty of climbing stairs. Creating character flaws (like Florentino Ariza’s stuffy and obsessive nature, which makes him a less obvious choice of lover for Fermina) gives them additional obstacles. These make their paths towards their goals more interesting. 5. What is your character’s type? 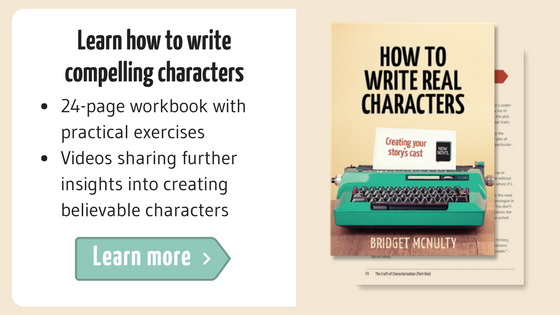 It is also often helpful, when writing character profiles, to keep in mind the broader, structural part your character will play in your novel. Detail is important and useful, but also think about what function they serve in the narrative. Are they the protagonist/hero/anti-hero? Or the hero’s antagonist/opponent? Which of Jung’s 12 character archetypes is most dominant in their personality and role in the story? Are they The Lover (like Florentino), seeking the joys of an intimate relationship? Or are they a restless Adventurer who will receive a quest and see it to completion for the sake of their world? Why is this character important for the story, what is their purpose for the plot? What types of secondary character would bring them closer to their goal, and what types would hinder them? You can turn these secondary character ideas into fully fledged characters at a later stage. 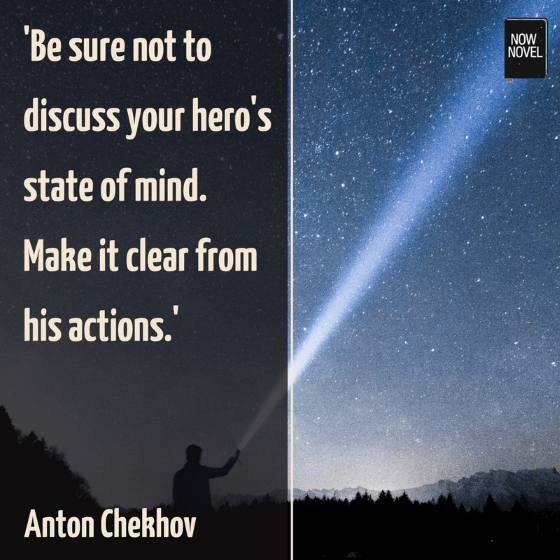 Create detailed, useful character profiles when you use the Idea Finder on Now Novel to gather and refine ideas for your novel.